Grand Master Chris Lim teaches Olympic style Taekwondo for students of all ages. We aim to help you reach your martial art goals no matter the experience level. For class details, click here. Whether you are just a beginner or you've practiced a martial art before, the adult program will help you meet your fitness and martial art goals. We have worked with adults of all ages and from all walks of life and have helped students understand self defense, weight loss, self discipline, and confidence. Instructors in push and encourage students to break through their mental barriers. 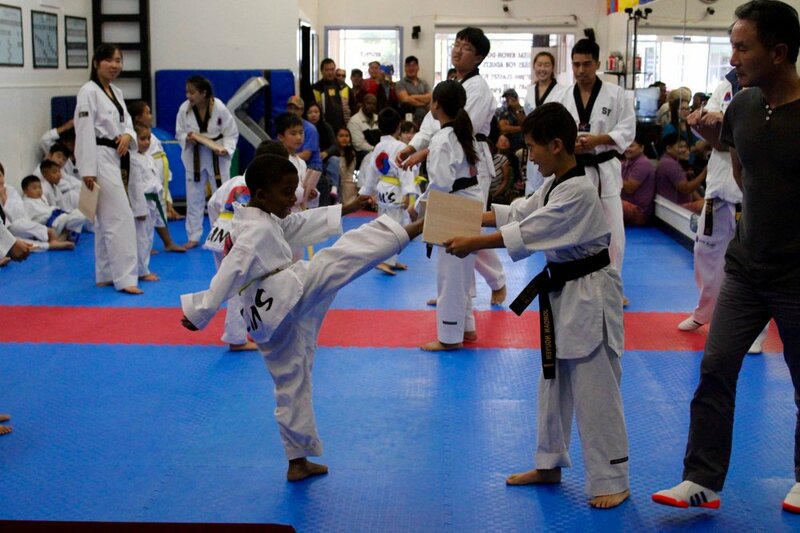 Our programs include a Taekwondo style Bootcamp class, sparring, and forms class. For our Elite Kicks Teen Program, we believe that learning martial arts is also a great way to learn social skills, develop self-discipline, and encourage discipline in school and at home. Teenagers will learn forms, sparring, and traditional Taekwondo methods while also developing determination, dedication, and discipline. These are skills which carry over to all aspects of life and will help our students with any challenges they may face. We also encourage our teenagers to complete academic responsibilities prior to training. Molding children to learn non-violent resolutions to conflict, develop greater confidence, and gain self-discipline is one of the goals of the kids program. Kids progress through our curriculum by following older role models and the teachings of Taekwondo. Children will not only develop the skills and abilities necessary to defend themselves, but also learn moral and ethical uses of Taekwondo. Our Instructors emphasize respect and integrity. Follow Us on Yelp! and on Facebook!